Hi y'all! This is Katie King from Queen of the First Grade Jungle. If you follow me, you know I have been very busy this year creating reading units with Amy Lemons from Step Into Second Grade. We are thrilled with how they are coming along! I wanted to share with you a little bit of what this week looks like with my class! Here is my reading board that gets added to all week. Our comprehension skill this week is looking at Fact and Opinion. 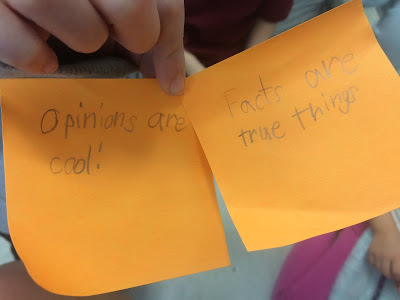 I gave each student two post-it notes and asked them to write a fact and opinion about one topic. They really enjoyed picking their own topics and sharing with the class. We added them to the chart as we went. My kids are so much more engaged when they can become a part of making our anchor charts and post-its are a fabulous way to do that! There is always one in the bunch :) This little girl explained that this was "her opinion on opinions and a fact bout facts." 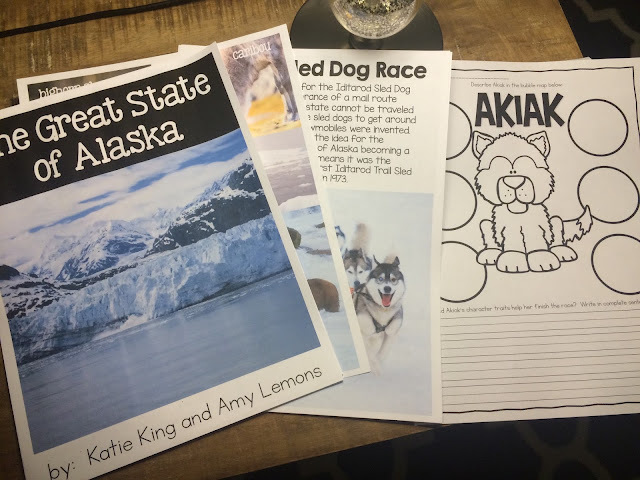 Their follow-up activity was to sort facts and opinions about our book Akiak: A Tale of the Iditarod. They did a really nice job with this as well! Tomorrow we will be writing about Akiak and how her character traits allowed her to finish and win the race. 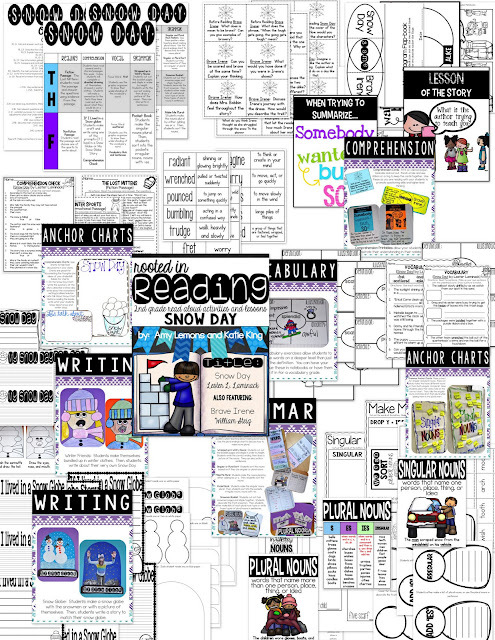 My kids are doing a great job with finding evidence in the text as we have been digging DEEP into text for months now, but some kids with need a little support. So I made this little freebie below that you can snag to use with Akiak! Today (yes I am writing this post at 5 a.m. HA!) my kids will be learning about the amazingly beautiful state of Alaska and then writing facts and their opinions. If you would like to see more of our unit, you can click on the picture below to head to Amy's store! Y'all have a wonderful day!